Moving to Mumbai - Compare International Movers & Save up to 70% ! Get free international moving quotes from several companies! Moving to Mumbai, India? Get packing and let the international movers from Intlmovers do the rest. Intlmovers is one of the most convenient moving services to help you plan an international move and gather moving quotes. Intlmovers is an online quotation comparison service that’s completely free, so you can compare moving quotes and get the best price! Using Intlmovers is one of the easiest ways to find the right international mover to compare moving quotations. 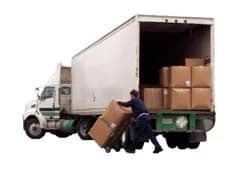 When you submit a moving request form to Mumbai, your moving information is immediately forwarded to up to six international moving companies. They assist you with a quote or any questions you may have about how to pack for your move to India. They will make contact with you directly in order to arrange a customized quote for your India move. The international moving companies have years of experience with moves to Mumbai. Living in Mumbai means there are many differences to adjust to since India is country apart from any other. The weather is one of the adjustments to get use to since the climate is quite hot and humid. Not all residents or work places have access to air conditioning. The climate is a subtropical wet/ dry climate and it remains warm to hot year around. Between June until September is the humid monsoon season and followed by a dry and hot period. Expect temperatures to reach anywhere between 16°C/ 61°F at the lowest to 33°C / 90°F on average. Mumbai is the 4th largest city in the world with a population just over 20 million. Moving to India from the Western world or South East Asia is a pretty big move. The distance and cultural changes are enough to inspire any traveler or business professional looking to do business in the world’s largest growing economy. Mumbai or Bombay is not the dusty busy city full of rickshaws and street markets lined with merchants willing to make major foreign trades out of the story books. Today Mumbai, formerly Bombay, is flourishing modern city with a modern infrastructure and the economic center of India. In recent years the standard of living has greatly increased in Mumbai. Rickshaws and public street markets still do exist and offer great bargains to local customers. Today many major shopping malls, high price designer labels and commercial chain stores are often taking the lead as the residents of Mumbai continue to see their salaries grow. Growth in education with emphasis on high tech occupations have boosted the economy for India. Many foreign companies have realized the potential of this labor market and have moved many parts or their entire operations’ to India in order to increase profits by taking advantage of highly skilled labor and lower employee wages. With a very low cost of living and the growth of foreign business it’s an opportunistic place to live or work. Other things to note about Mumbai are its culture and infrastructure. India’s main religion is Hindu and it is reflected in most people’s everyday lives. This can often be confusing when doing business professionally or personally. It’s a good idea to get involved in an expat community or get to know other internationals that can give you some good advice to help get you settled. Some day to day situations may not function as normal such as reliable electricity or appointment times not kept or getting something repaired may take forever. That’s mainly because Mumbai’s development has been so rapid some of the smaller details often seem missed such as the large amount of poverty or problems with sanitation. Living in Mumbai takes a little patience and understanding that you have to adjust to the unusual and the awkward situations. Learning a new culture and making some adjustments are just part of the journey for your move to Mumbai. The rest is waiting for you to explore. Open air Cocktails at sunset– The roof top of the four season hotel host a very clique bar and spectacular view of Mumbai from the 34th floor City and sea views. Chor Bazaar– you can find almost anything at this Bazaar from silver jewelry to 2 hand art or antiques great place to get a good deal or buy a few things for the new home. Taj Mahal Palace Hotel– One of the most famous hotels in Mumbai . The cost of living in India is very low. It’s easy to find affordable housing compared to the housing market in the western world. Housing generally is the larger portion of your budget but it is very low considering what you would normally pay for in a developed country. Food and utility cost are also very low on average expect to pay for gas, electric, water and cable around $90 to $112 USD for a one or two person household. Most single people pay a total of $500 to$ 700 in total monthly expenses in the suburbs. Living in Central Mumbai offers apartments, condos or houses for just about every budget. Prices in central Mumbai are higher than the rural areas around Mumbai. The economic growth in Mumbai has caused housing prices to rise in the inner city. You can find just about any style of accommodation depending on what you are willing to pay for. If you plan on renting in India get to know the rental laws for leasing property. Some property owners try to avoid paying tax and offer unusual lease plans. Signing the wrong type of lease can be a problem and have consequences on processing residence visas. With over 20 million people living in Mumbai it’s a good idea to plan on using public transportation or live close to your place of work. Transportation is very cheap and affordable but driving sometimes is not possible in very congested traffic situations. Most people live close to their work location; if you can it can save you extra money. One bedroom apartment in Bandhar Mumbai. Close to the Sea beautiful view 400 Sq ft. $456 mo. 3 Bedroom Apartment sea view in Navi-Mumbai 1600 sq. ft. air-co, swimming pool, intercom, security $825 mo. India offers a variety of visas for residence and work. Visas are issued for visiting, work, research, study, business, projects or medical. It’s good to note that if you plan to work in the country you must obtain an employment visa. You can apply for a visa to India in a few ways. You can apply at your local Indian Embassy in your country. You can apply with the government of India online. You can even use a third party visa processing company who will handle all of your paperwork and get your visa processed quickly. Keep in mind you are not permitted to enter India without a valid visa to do apply and have your visa ready before travel. Negotiate transportation fees upfront – In Mumbai you can tell the driver where you want to go and negotiate a fee and pay upfront. Tourists don’t know this and they get cheated if they don’t negotiate payment first. Get registered with a Doctor – Find a doctor in your local area then call them to see if they are accepting new patients. Health insurance is generally covered by private health carriers. You can call your local doctors office for advice and recommendations. Be prepared for culture change – There are a lot of things that sometimes don’t go smoothly as you are use to from your home town. Keep an open mind and allow yourself to live with it and enjoy the things that make Mumbai a special place. You don’t take a long journey if all you want to do is stand still in one place. Find out where the Locals shop – The best way to save money or explore a market is to ask you neighbors where to go. Often you can find great bargains and bazaars and have fun furnishing your new home. Rest assured that all requests that are made via Intlmovers are absolutely obligation free. You may receive up to six quotes for your international move to Mumbai. It’s completely up to you to take your time, review your options and make your own choice about your preferred moving company. If you do not feel satisfied with any offers you receive, you are under no obligation to select any at all.